← seersucker grainline tank / bday! Why hello there! I’ve been rather lazy about sharing my recent makes, but maybe I’ll start doing better. Or maybe not. I make no promises. But I did finally take some snaps of my recently made miette skirt. And here it is! I had decided that I was not a skirt gal and during the “moving soon” closet purge, I got rid of most of them and stored the few I kept. Which meant I literally have zero skirts in my closet here. 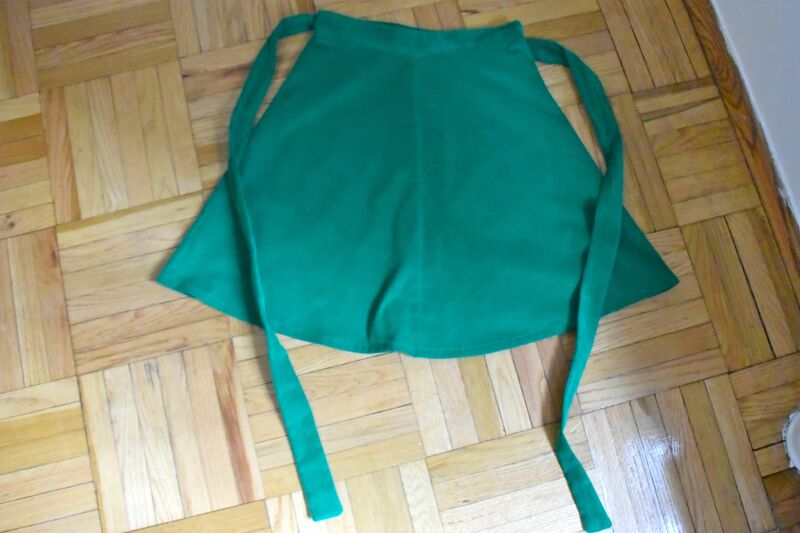 And despite a simple skirt often being a first project for the beginning garment sewist, I’ve never made one — I guess because I didn’t wear skirts much (or ever). As you can see though, I changed that! 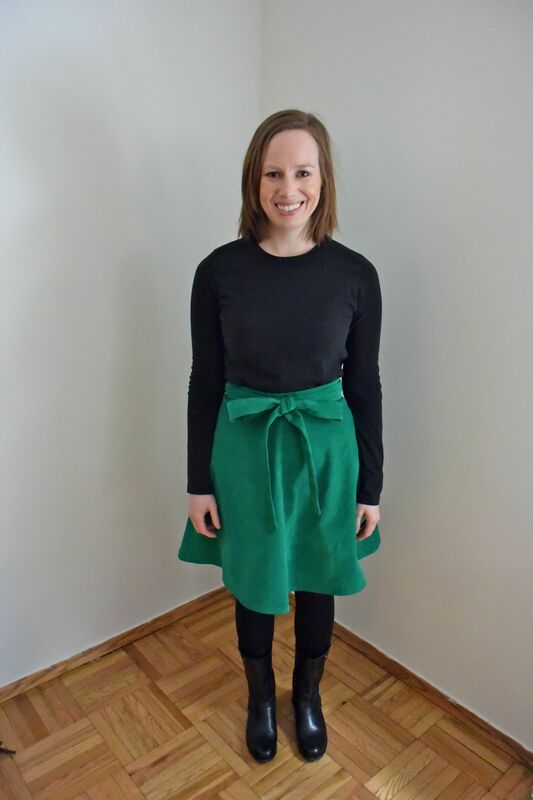 Pattern deets: This is the miette skirt by Tilly & the buttons. A simple pattern, the most strenuous part was sewing and turning the long strips for ties. If I do become a skirt gal, this is definitely the shape I like. Cinch in the the waist and flare around the hips. I did take a good 4″ off the length, and probably could’ve take off more if it’s a skirt always to be worn with tights. I suppose the pattern is made to be fairly long and I have quite short legs so that’s probably a typical adjustment. Otherwise I made no changes to the pattern. Fabric deets: Green corduroy by Robert Kaufman. I think it’s this one. I’ve also used the orange corduroy from this line for a Washi dress (never blogged), and I have some turquoise (not sure what to make yet). It’s a good quality corduroy; I think most of the Kaufman fabrics are trustworthy. So maybe I’ll become a skirt gal! This isn’t my favorite look (on me anyway), but it’s growing on me. Love that skirt Erin! The shape looks great on you and was perfect for that corduroy! thanks! I do love the shape as well!